Why choose The Recovery House? Choosing a residence for yourself or your loved one is one of the most important and difficult decisions you can make. You want someone who is caring, knowledgeable, and accessible. You want someone willing to take the time to go over all of your options. If you or a loved one is in need of a structured home environment then The Recovery House is the choice for you. We provide excellent services in a homelike atmosphere with mental healthcare professionals who are dedicated to meeting your goals.. We provide you with the same care and respect we give our own families. We hope you will give us the opportunity to serve you and your family’s mental health care needs. 1. What is the admissions process? 2. How do I get on The Recovery House’s waitlist? 3. Do residents have a voice in how The Recovery House is run? 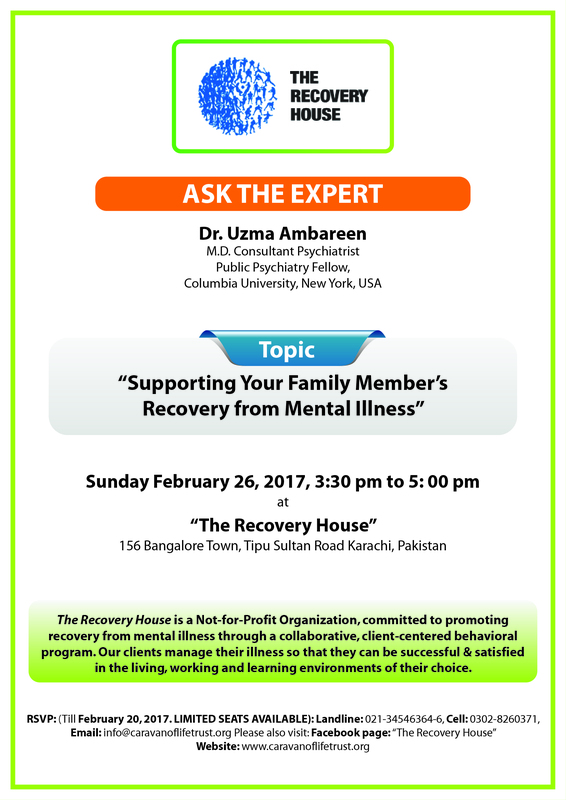 4. Who is appropriate for The Recovery House? 5. Who can benefit from PsyR services? 6. What is Psychiatric Rehabilitation? 7. My family member has a physical disability. Can they be accommodated at TRH? 8. Do you take clients from anywhere in the country? 9. How much time will you be able to devote to my family member’s care? 10. How long does a client typically stay in your residential programs? 11. What is the typical daily schedule? 12. What is the admission process and how do I decide if the program is for me? 13. Do I have to be referred by a clinician? 14. What is included in the cost and when am I expected to make payment? 15. What causes mental illness? 16. Once someone has had a mental illness can they ever get better again? 17. How long does recovery take? 18. What happens after Residential Treatment? 19. How does psycho-education help the consumer of mental health services? 20. How can family psycho-education help my family? 21. How soon can an admission happen? 22. What is TRH’s smoking policy? 23. What about iPods, cell phones and computers? 24. Is TRH a lock-down facility? 25. Can I come and visit the place before admitting my loved one into residential care? 26. Does TRH ever physically restrain its clients? 27. What kind of therapies are provided at TRH? 28. As you are based in Karachi, do you only take clients from Karachi? 29. How can I contribute to TRH? 30. What should I bring to the program? 31. May people visit me while I am in the program? 32. Can my family members speak to me over the phone while I reside at TRH? 33. Are there computers onsite for residents to use? 34. Is there activity on the weekends? 35. Can a patient have a part time job or go to school while receiving treatment? 36. What happens if I do not connect with my therapist? 37. Do you offer scholarships or financial assistance? 38. How do I get my medications? 39. What can I have in my room at the Recovery House? 40. Are family members included in discussions of treatment progress? The first step is to submit a completed application along with your psycho-social history, current psychiatric assessment, and current comprehensive treatment plan and/or discharge plan. The Director conducts Admission Interview & Assessment and reviews application and supporting documentation. Required documents must be submitted prior to the face-to-face interview. We will contact you when an appropriate accommodation becomes available based on your urgency & standing within our wait list and/or the availability of your preference for a single- or double-occupancy. Yes. Residents have several ways to voice their opinion and make suggestions regarding the policies and procedures practiced at TRH. Our clients have the opportunity to share their thoughts and communicate with the management and staff of TRH, verbally or anonymously via a Complaint form or Suggestion Box. . Clients also have a significant role in developing our menu on a week to week basis. Not currently physically or verbally aggressive Able to participate in structured daily programming as directed by Individual Action Plan Willing to take medications as prescribed. If you or your loved one is suffering from a mental illness, we can help you develop a strategy for recovery. It is important to seek PsyR services when the individual is in a stable rather than acute condition as this when recovery is most successful. The Psychiatric Rehabilitation Program at TRH works to assist individuals with severe mental illness to reach a higher level of independence through empowerment. Our program assists our clients with learning and developing improved daily living skills (i.e. personal hygiene, time management skills, nutrition, and money management), as well as working towards achieving healthy coping mechanisms and forming and maintaining functional relationships. Yes, TRH is wheelchair accessible but does not treat people with just physical disabilities. We do accept clients who may have physical disabilities, as long as they have accompanying or predominant mental illness which is what they seek treatment for. Yes! We accept referrals from anywhere in Pakistan, or even the world over. If appropriate for our services, we are willing and able to arrange a meet and greet, at mutual convenience, to further assess the individual in question and coordinate admission to our program. Each client and family of TRH has individualized needs for care. Some individuals require several hours per day while others may respond better to less intensive care. Each treatment and rehabilitation plan is tailored to the individual needs of the client and their family. All these formalities are properly discussed and decided upon at the time families enter into a contract with TRH. Clients of our residential program typically stay anywhere from 3 to 6 months, but this is determined on an individual basis, as it depends on each individual’s severity of illness and response to interventions. Some clients’ stays may be shorter, while some have to stay longer. After the first month in the residential program, the clinical team will make recommendations to the client and their family. The recommendations may include staying further in the residential program and this recommendation will be continually and consistently evaluated to determine an appropriate discharge date for each client.Either way, no client is ever held at TRH without the consent of, and against the will of, their family. In addition to their schedule at the Day Treatment Center, we feel that meaningful activity in the home is an important aspect of daily life at TRH. Daily schedules are organized by Individual Action Plans which includes participation in units supporting job readiness and acquisition skills, school, therapy, exercise, cooking, budgeting, and computer skills. Additional activities include music therapy, art therapy, along with Evidence -based Rehabilitation Interventions . First, the Director will discuss the program with you, conduct a preliminary intake interview, and determine if the program meets your needs. If the program seems suitable and you want to pursue treatment, we will request your medical records from your most recent clinicians, i.e., outpatient psychopharmacologist and therapist or, if you have recently received inpatient care, the admission note. We will also request a list of your current medications. All information will then be reviewed and an in-person interview and tour set up. If we think you will benefit from the program and you are interested in attending, a start date is scheduled. If the program is not a good fit, we will do our best to make recommendations for other treatment options. No, you do not have to be referred by a clinician. Many of our clients find out about the program on their own, and they or their family members contact us. Covered in the cost are your room, meals and snacks, and all individual & group treatment services; Meetings with the Psychiatrist ; monthly Family meetings . Most of our rooms are single occupancy , but we have a few multi- occupancy rooms as well. A family style breakfast, including fruit, cereal, eggs, bread, yogurt, juice, and tea/coffee, is available each morning in our open kitchen and dining room. Lunch and dinner are planned with emphasis on nutrition and prepared by our kitchen staff. Accommodations are made for people with diabetic diets or other diets for medical reasons. Lunch is served at 1 pm and dinner is served at 8 p.m. A light snack is provided at 11 am , 3pm & tea- time is at 5 pm. All payments are expected one month in advance . Although the exact cause of most mental illnesses is not known, it is becoming clear through research that many of these conditions are caused by a combination of biological, psychological, and environmental factors. However, mental illnesses are NOT the result of personal weakness, lack of character, poor upbringing, or a result of a curse on the family, and should not be treated as such. Most people with mental illnesses who are diagnosed and treated in time will respond well and live productive lives. 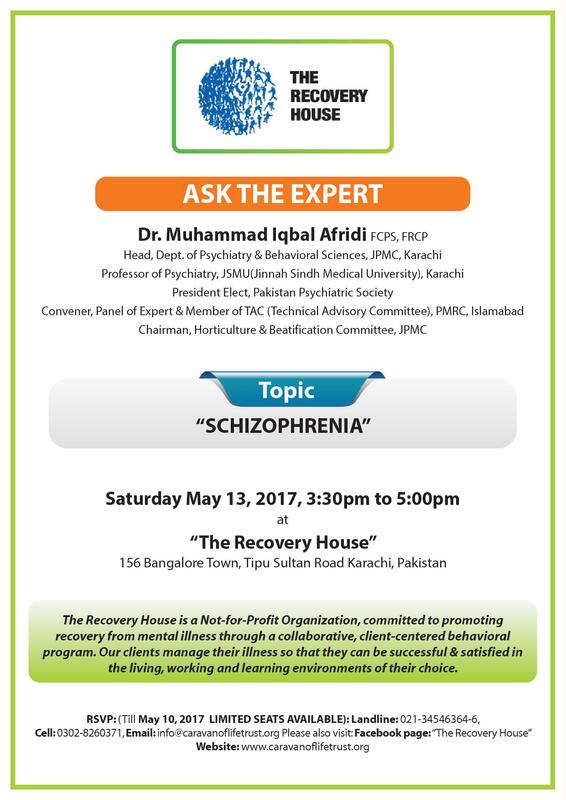 There are illnesses, such as schizophrenia for instance, that can’t aren’t completely treatable but can be made more than manageable. The important thing is that there is a range of effective treatments for just about every mental disorder. Recovery from mental illness cannot be achieved overnight and a set time cannot be defined for recovery, as each person is different. The duration of each PsyR plan varies depending on the needs of individual. As a partner in the recovery process, TRH is committed to providing life-long support at every stage of recovery to all clients. Even post-discharge, TRH will continue to facilitate supported employment opportunities, outpatient consultations and hospitalizations if required. As the client’s stay nears the end, our clinical team works with the client and their family to devise a Transition Plan. Sometimes Transition Plans involve returning to their home town or state, and sometimes, they require for the client to attend the Day Care Program. Either way, TRH assists the client and family with making the transition a safe, smooth and productive one. If, at any point, our client feels stress or anxiety about their transition, our Psychiatric Rehabilitation Practitioners are available to walk them through their phase of uncertainty. Over time, when individuals with serious mental illness and their families learn more about the illness and ways to reduce its effects, there can be many positive changes, such as fewer relapses, less time in hospitals and clinics, a decreased sense of stigma or ostracism, a feeling of better of better control over life, fewer symptoms, fewer conflicts about medication, less isolation, improved social contact, more involvement in family life and social activities, less depression and anxiety. It is about empowerment and teaches the individual to take charge of their own life and overcome their illness. Through psycho-education, families learn about mental illness. They learn that other people have similar needs and experiences. It helps to know that others know how you feel and ‘float in the same boat’ as you. Such multi-disciplinary interventions have led to improved family relationships and functioning, as theylearn new ways to deal with the common problems caused by the illness: problems that often create stress, confusion and disagreements. TRH’s goal is to be as thoughtful as possible when admitting a new client, to the client’s needs as well as the family’s. We strive to be responsive and efficient as well. We want the intake process to provide the interested party with all of the information about our program, as well as gather all the appropriate information from the client so that we can determine if TRH is the best fit for the individual in question. Recovery House is a non-smoking facility. Smoking is only permitted outside on the terrace or in the yard at the back of the residence. We will educate you on the harmful effects of smoking & help with cessation if that is your goal .Smoking regimens are decided based upon each client’s personal requirements. Moreover, clients aren’t allowed to keep cigarettes with themselves; our staff is instructed to provide each client with cigarettes at regular intervals, as per their regimen. Each client is allowed to smoke a predefined number of cigarettes per day, and never more than that number. These may be allowed but only with the approval of the treatment team, as long as they don’t interfere with the client’s process of recovery. TRH is not a lock-down facility but parietals are observed to ensure the security of clients. Clients are encouraged to go on planned outings and visitations. We would prefer that you do. In the past we have taken clients from Lahore, Islamabad, Dubai, USA. For Residential Clients, it isnot necessary for them or their families to be living in Karachi. Mental illness can affect persons of any age, race, religion or income. To support the recovery of individuals that need financial assistance and to help us grow, please donate your zakat etc. to: (link to ‘donations’ page). Please bring your current medications. You should also bring weather-appropriate indoor and outdoor clothing. Sleepwear is reserved for bedtime. You should also take along toiletries. Should you have a preference you may bring other personal items as well, such as comforters, pillows, a bedside rug, books, a musical instrument (non-amplified), etc. We also allow cell phones and laptops which are checked in with management. Cameras are not allowed to ensure people’s privacy. It is better to leave valuables at home; safes are not provided at the residence. You may receive visitors after the planned daily activities have finished on weekdays. Visiting hours end at 8pm. Weekends have flexible visiting hours. Family members may also take you offsite to visit the home or family events or out for shopping etc. Yes they can. However, the interval at which phone calls are allowed varies based on the client’s mental state and their response to the interventions provided at TRH. TRH has several computers for use by resident. Groups focused on building relationships are offered on the weekends and nursing staff is available around the clock. We try to schedule educational or entertainment outings every week. There is a monthly calendar of events that is posted and supplied to each resident so they know what is going on all month long. Our staff is on call for any emergencies, as well. You may request a change of therapist through our Director. We do offer the opportunity for Fee Reductions based on need. An application is completed by the payer or family member and returned to our front desk. Our financial department will then determine eligibility for a discount based on need. Medications are prescribed by TRH’s psychiatrist and ordered through a local pharmacy. The medications are delivered to TRH and dispensed according to policy. You may bring any personal items that you would like to have in your room. Please note that NO food, drink, or medication (including over-the-counter meds) are allowed in the room. Yes. Your family members are an integral & invested part in the process of your wellness and recovery.They are invited to clinical team meetings and to family psycho-education sessions. Also, the family may contact the psychiatric rehabilitation practitioner for updated information on progress.